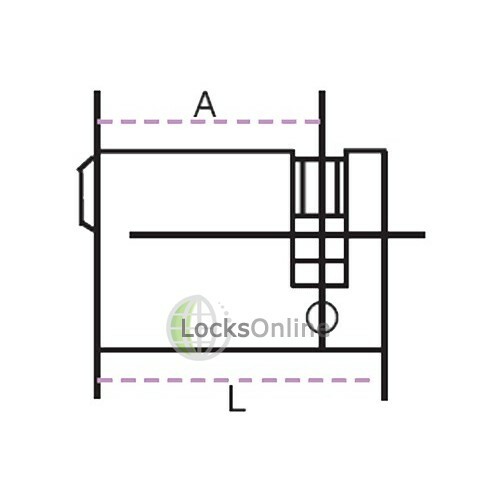 LocksOnline's EPS Single Euro profile cylinders provide some of the highest levels of security available for doors that accept a euro profile cylinder. Our single euro cylinders can be Keyed Alike or Master Keyed; this is completed on site by our team of locksmiths. This model uses a single style of cylinder that allows it to be used from one side with a key. This is useful for industrial or storage room doors and also allows you to choose interior side hardware. 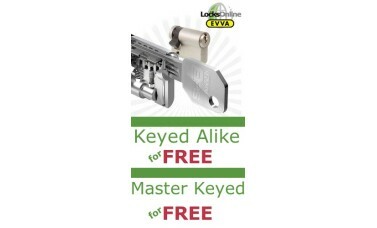 In addition to this our range of single euro cylinders comes with Lifetime Guarantee's. Sizes range from 32 - 62. We also have patent protected and key caps available for these models. LocksOnline EPS Single Euro Cylinders - These models lock and unlock from one side only. This allows a different form of hardware to be used on the interior side. 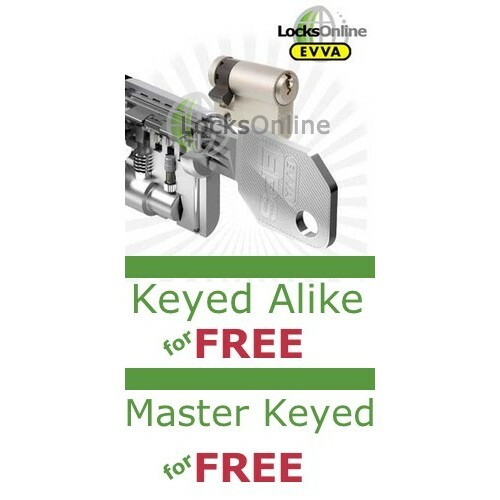 These models can be Keyed Alike and Master Keyed to suit complex or simple installations. Single Euro Cylinders are typically installed onto doors that do not require locking from the interior side such as store rooms or industrial buildings. This model utilizes a euro profile which is one of the most common profiles used around Europe and the UK. We are able to design complex or simple master key systems with all of our high security EPS cylinder as well as keying alike. All of this is done on site by our team of trained professionals. Anti Bump - This technique has unfortunately become commonplace as access to information has increased significantly over the past few years. Bumping keys allow a criminal to unlock your door by tricking older cylinders into unlocking by manipulating the mechanisms inside. Our high security EPS cylinders avoid this by using more advanced mechanism that prevents this. Anti pick - Pin tumbler systems used in older models are more susceptible to picking, one of the most common and oldest forms of compromising a locks security. 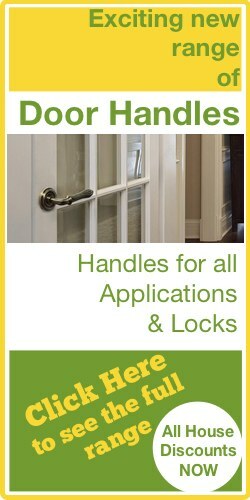 LocksOnline's high security EPS single cylinders avoid this by using more complex and advanced pin tumblers. Snap Resistant - Much like bumping, snapping cylinders has become a more common method of attack as access to both good and bad information has become more available over the last few years. This method exposes the cylinder; extreme force is then used to "Snap" the cylinder. Stainless steel bars in LocksOnline's model reduce the chance of the happening which has been specially manufactured into its design. Patented Profiles - The design of the key with these models is patent protected. This means that they are unable to be cut without your express permission. They are also not able to get cut from anywhere in the event that you lose your keys. BS EN1303 - British standard EN1303 is a European standard that states testing criteria. The key testing areas when looking at BS EN1303 approved cylinders is physical attack, durability and overall key security. Supplied with 2 Keys - Again these models are patent protected, this ensures that keys cannot be cut without your permission. 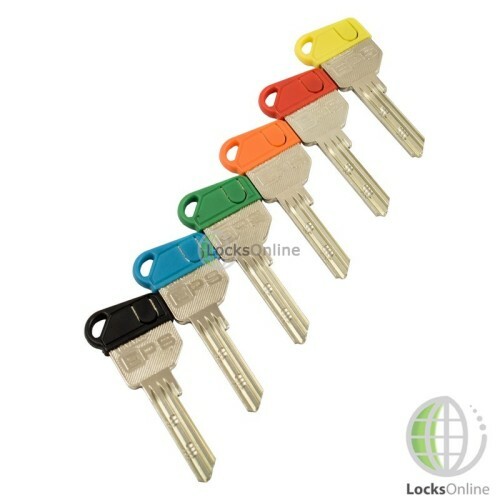 This reduces unwanted circulation of keys which is especially helpful withy businesses. Life Time Guarantee - All of our High Security EPS cylinders come with Life time Guarantee's!